In America, we have weird traditions like carving faces into pumpkins. It is something I have always done since a kid. I am not sure I know where it came from in history, but I am sure if I did know I would would be so interested in carving pumpkins anymore. 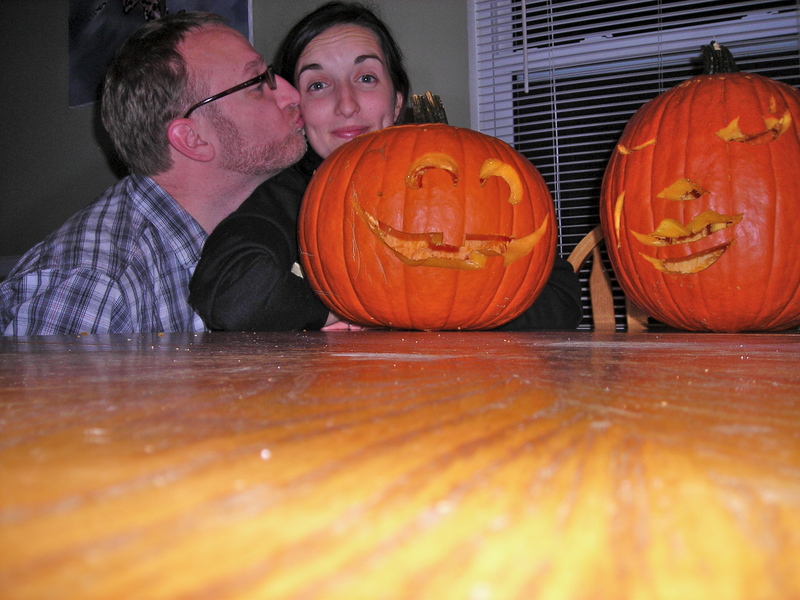 Sarah and I spent a date night de-gutting, carving and lighting our pumpkins. We had fun.